How Do I Sell a Murphy's Product From My Own Inventory? In edit mode, open up the Custom Fields window. If you don’t see Custom Fields, click on Screen Options in the upper right corner of your website and make sure Custom Fields is toggled on. Find the “local_inventory” custom field. 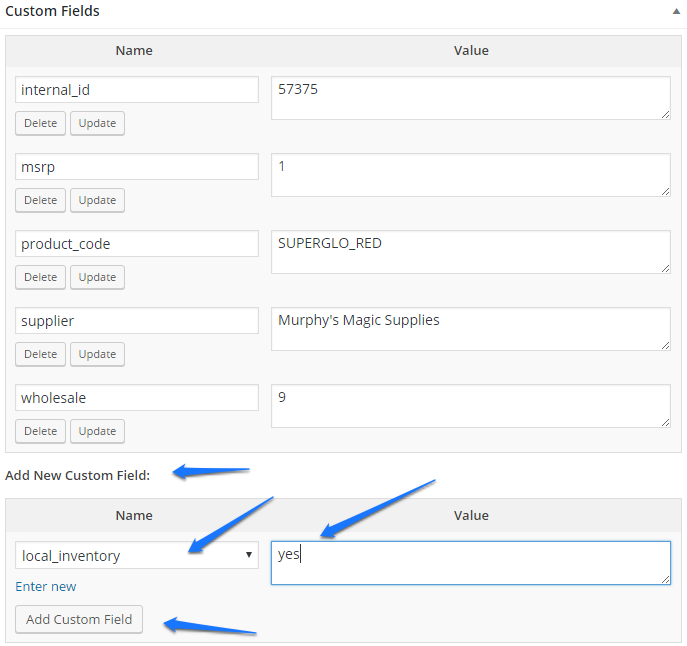 If this field is not displaying click on the “-Select-” dropdown menu under “Add New Custom Field” to find the “local_inventory” field. Enter “yes” into the Value field on the right. Click on Add Custom Field. When the product is saved it will be automatically tagged as “local inventory” during the nightly processing.  This will allow you to easily identify products that are using your inventory. When your inventory is depleted, the system will revert to syncing with Murphy’s and the tag will automatically be removed during the nightly processing. In the Product Data section go to the Inventory tab. 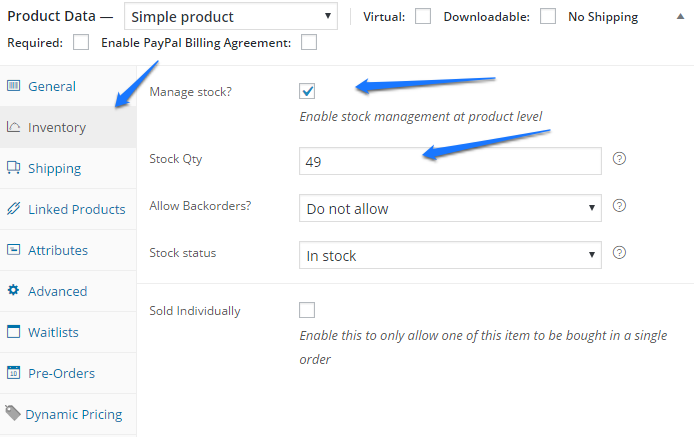 Enter the product inventory in the Stock Quantity field. UPDATE the product to save your changes. Once your inventory is depleted the system will automatically take the product out of “local inventory” mode.